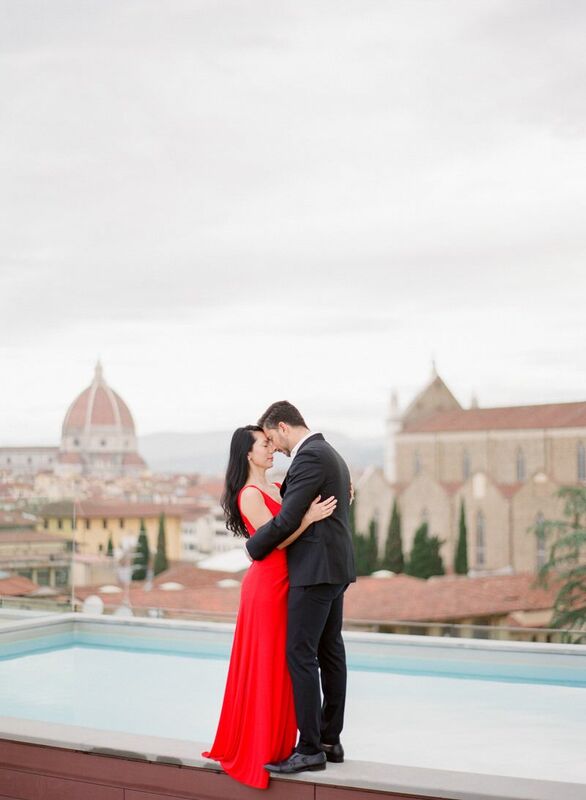 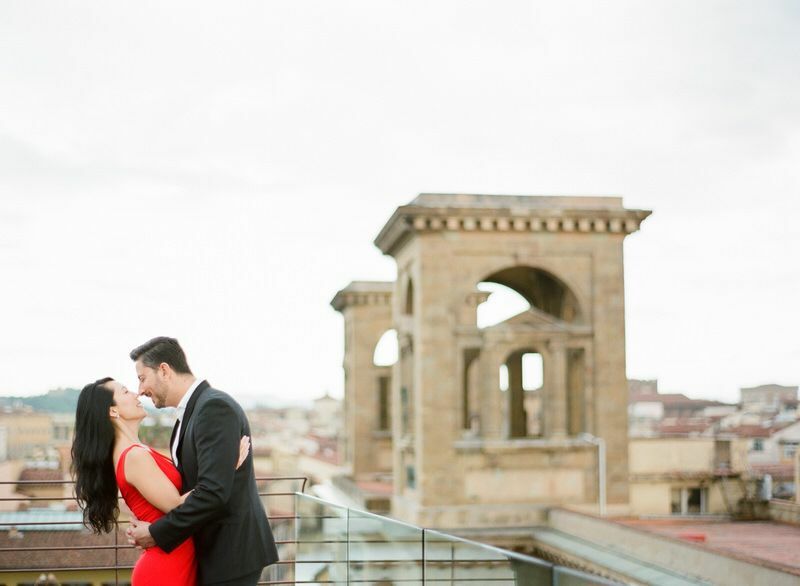 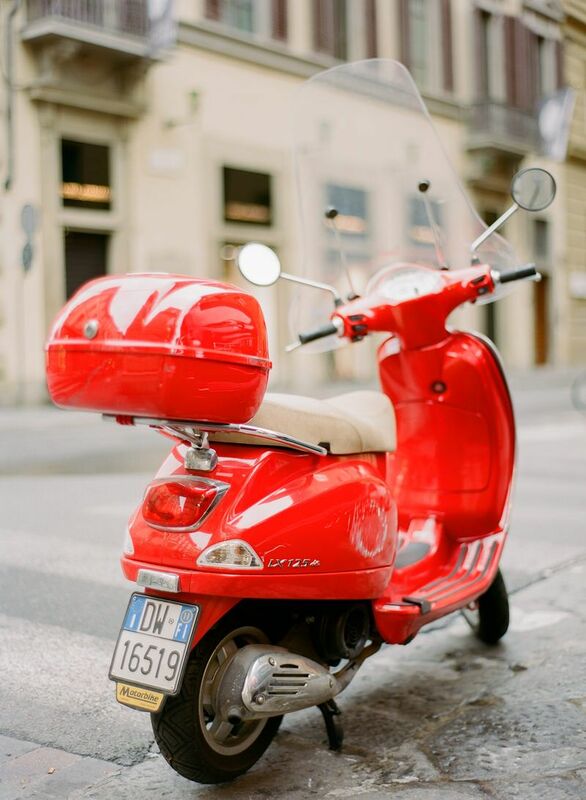 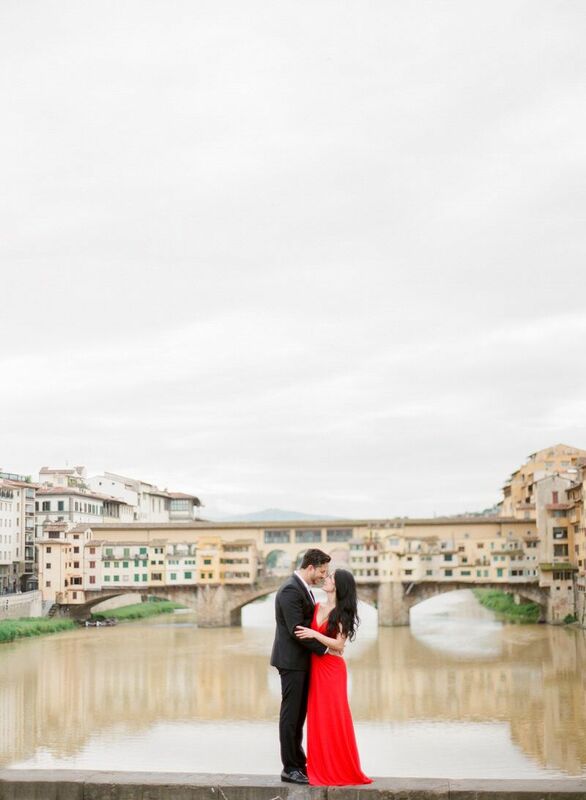 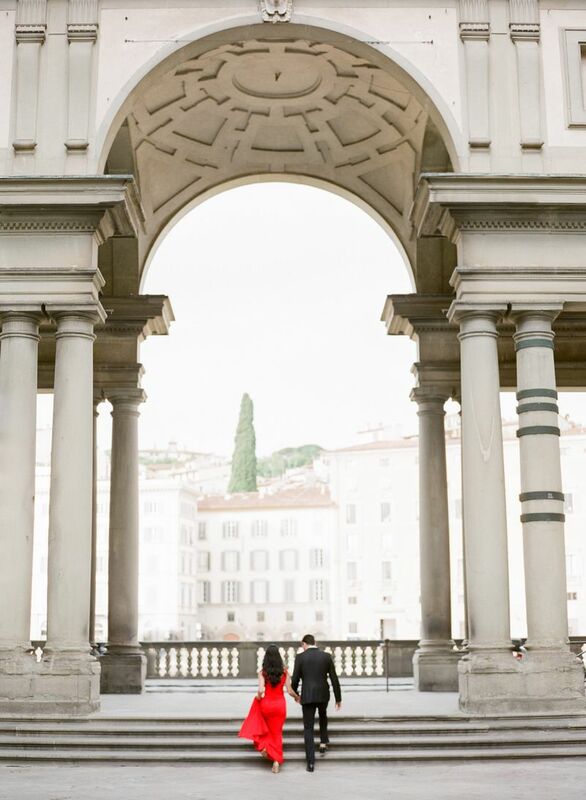 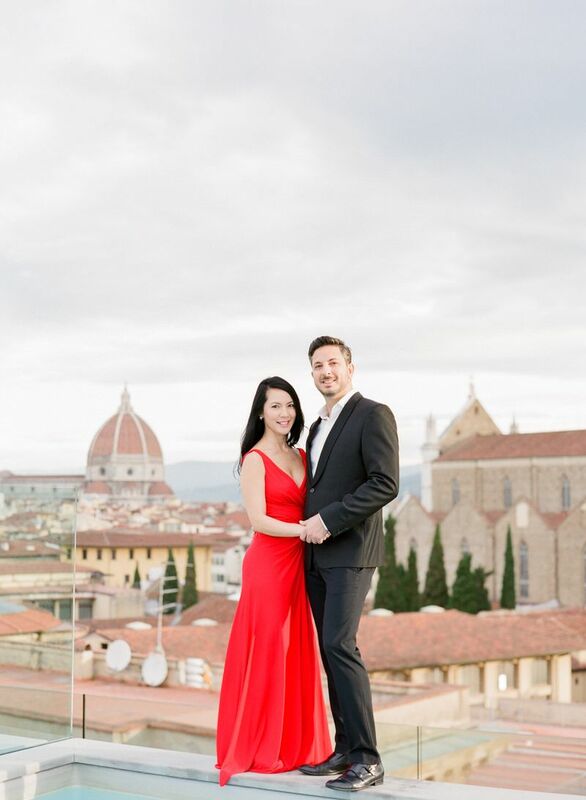 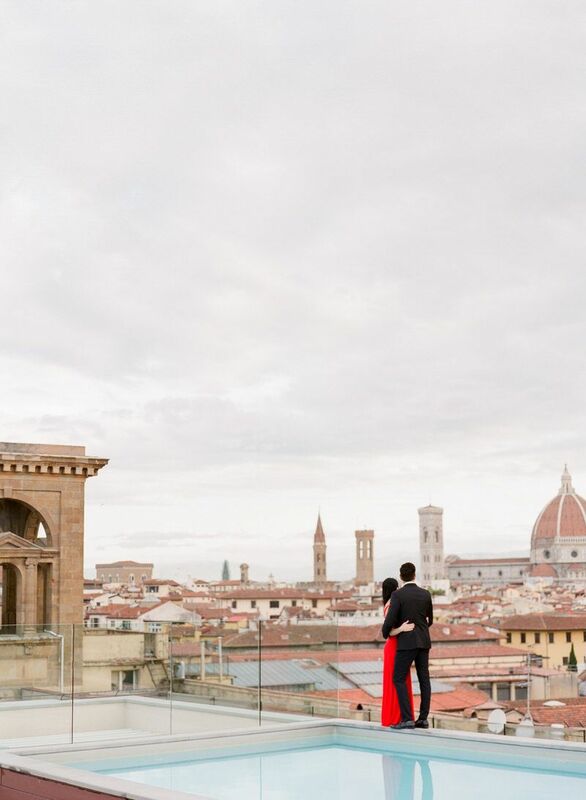 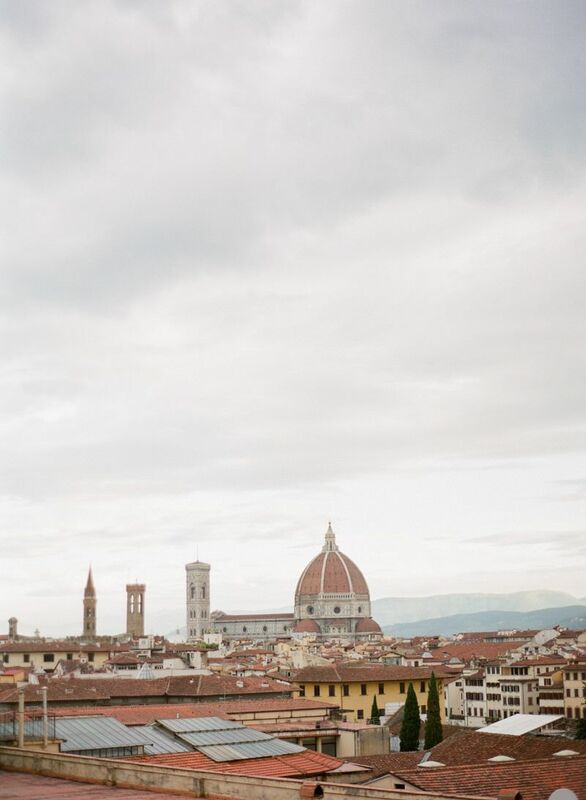 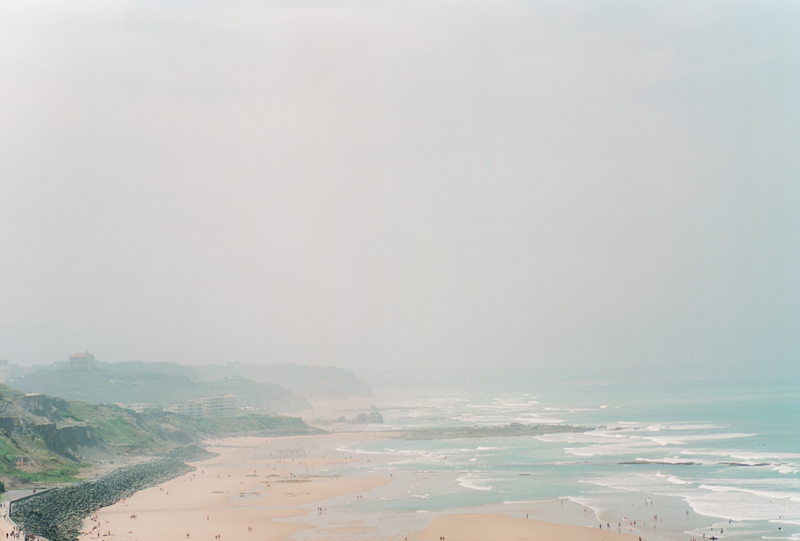 The beautiful Jessica and Tony, who live in New York City, chose Italy for their honeymoon. 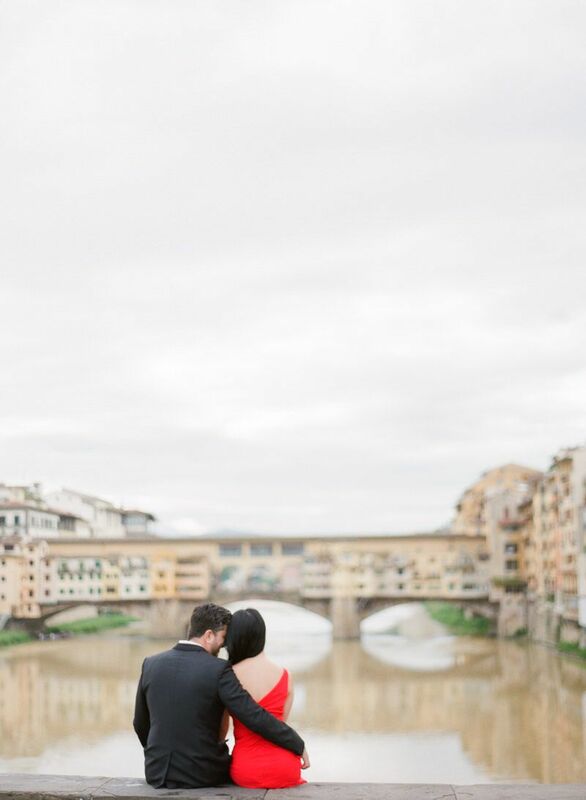 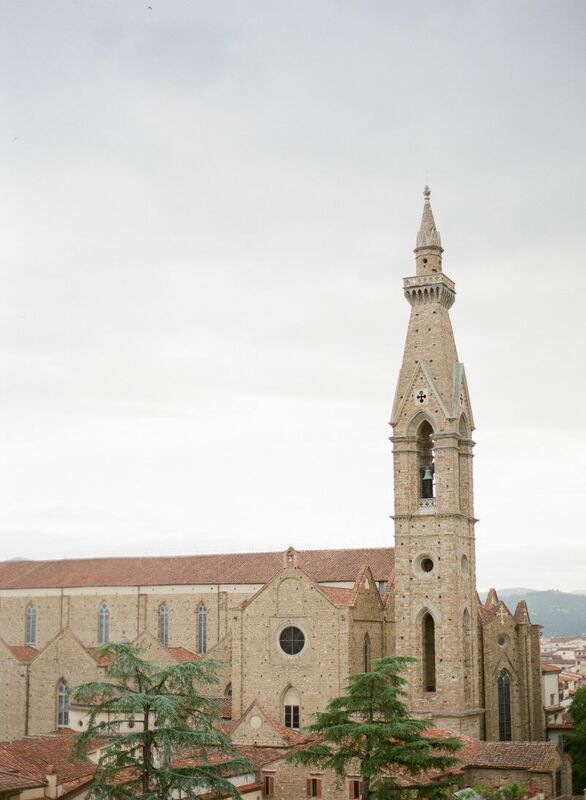 They were also guests at a wedding in Tuscany that we shot! 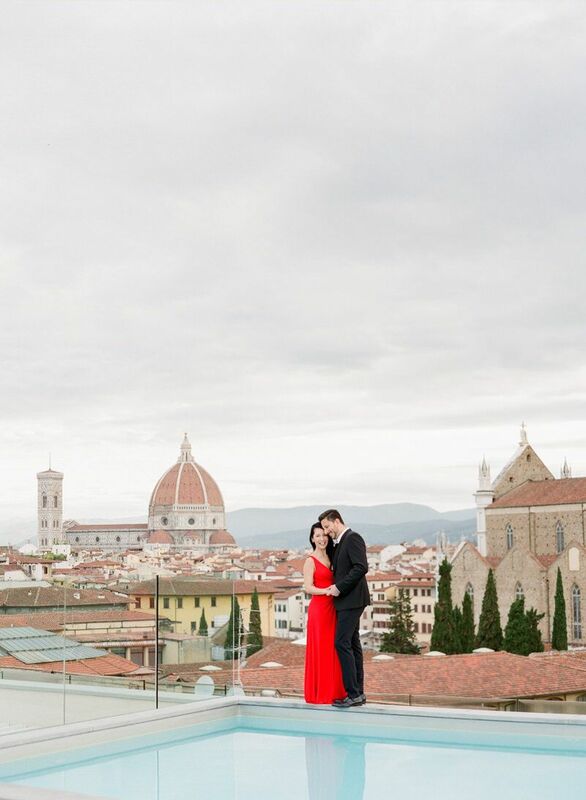 We love that wedding guests take advantage of having a professional photographer near at hand. 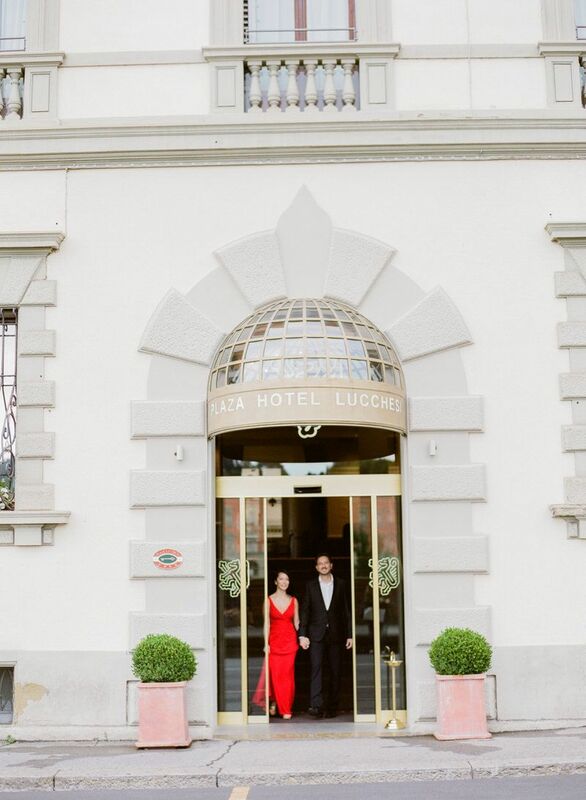 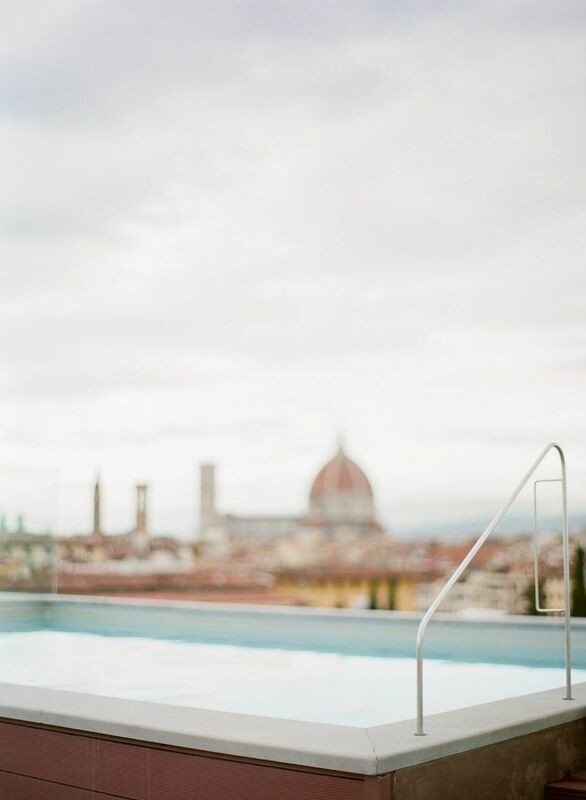 They booked the beautiful Hotel Lucchesi for their trip in Florence. 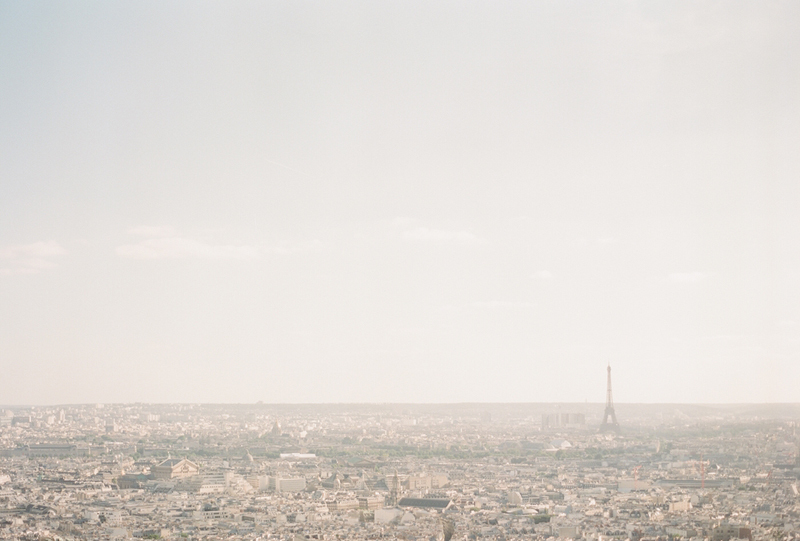 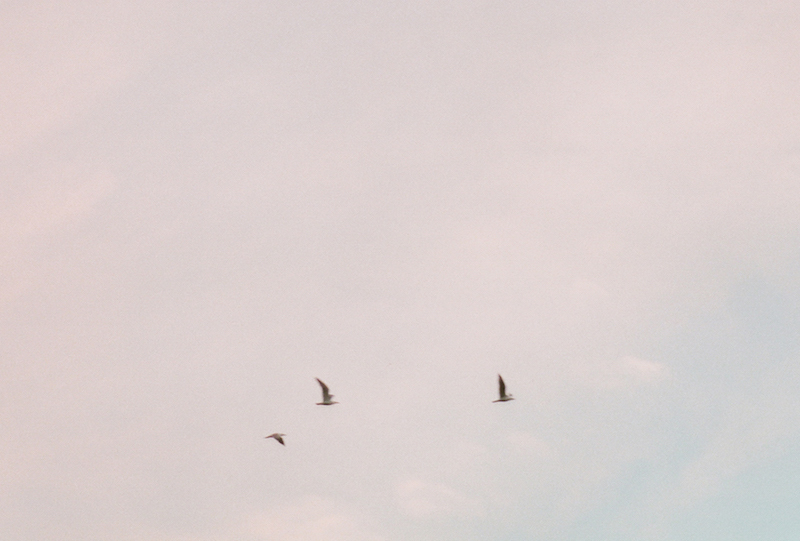 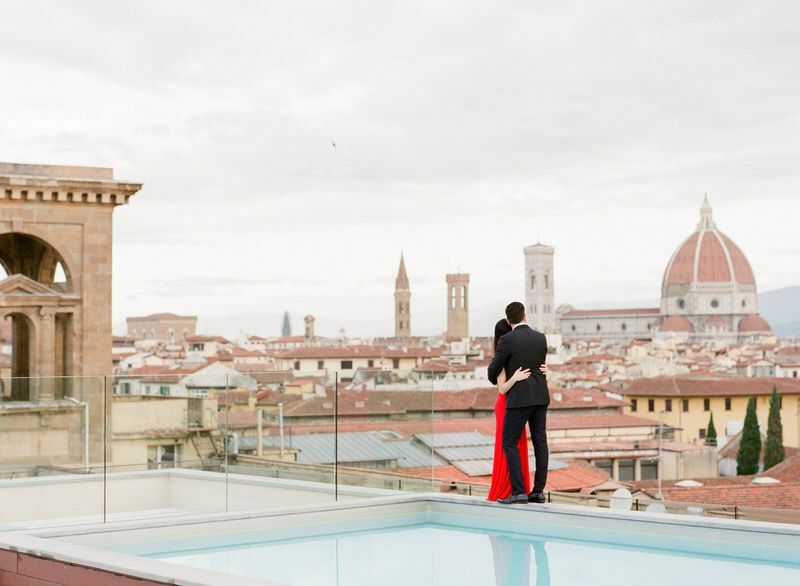 We immediately fell in love with views from the hotel rooftop. 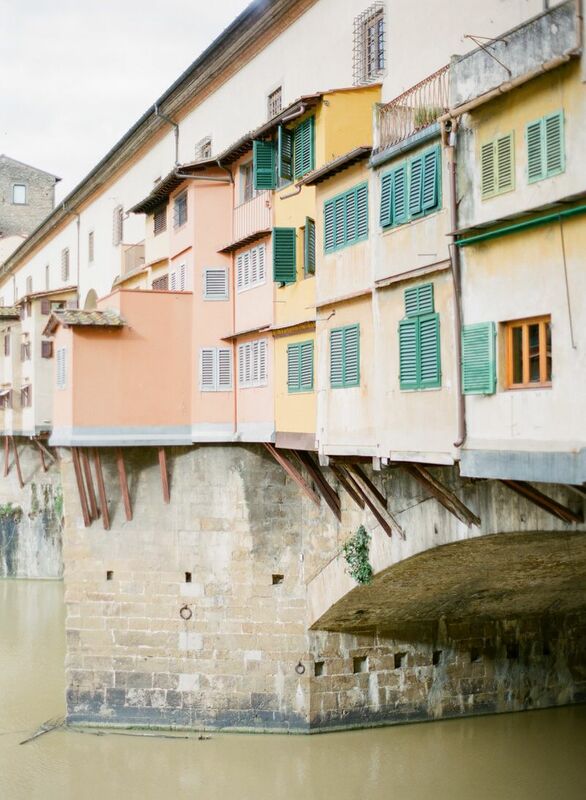 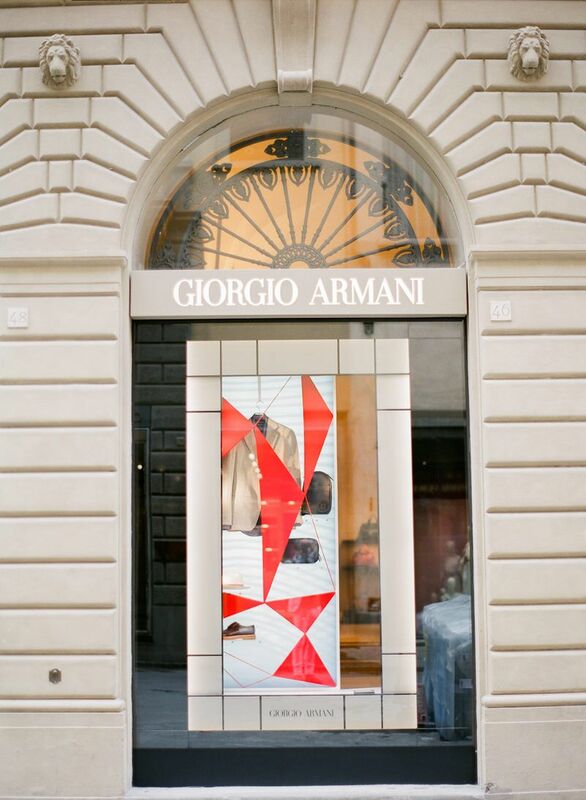 After we’d done some pictures with the incredible scenery, we went into the morning streets of Florence. 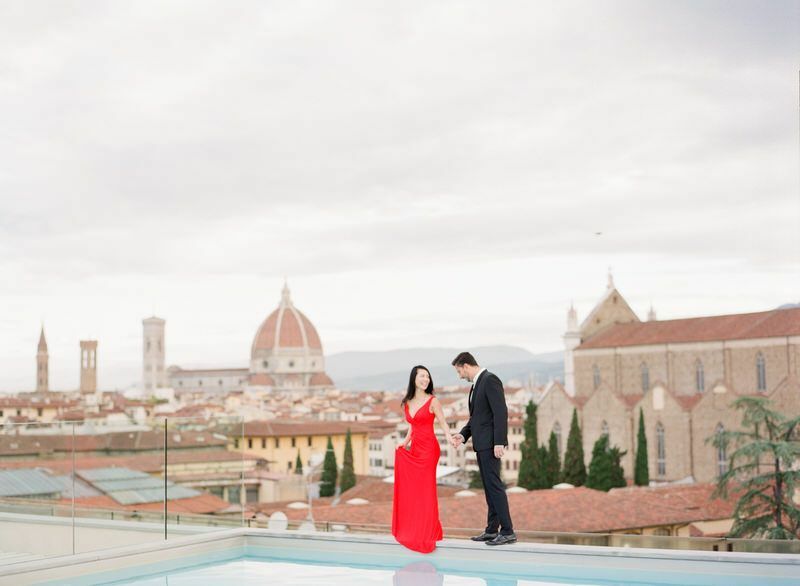 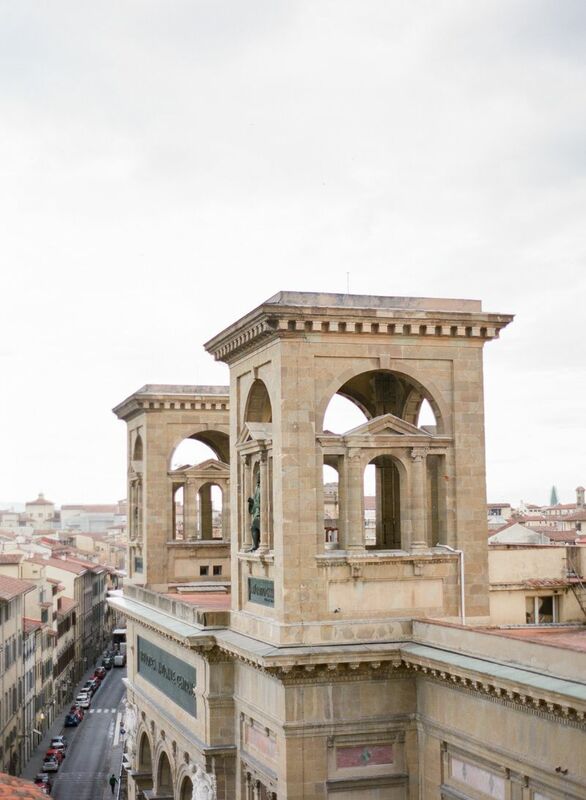 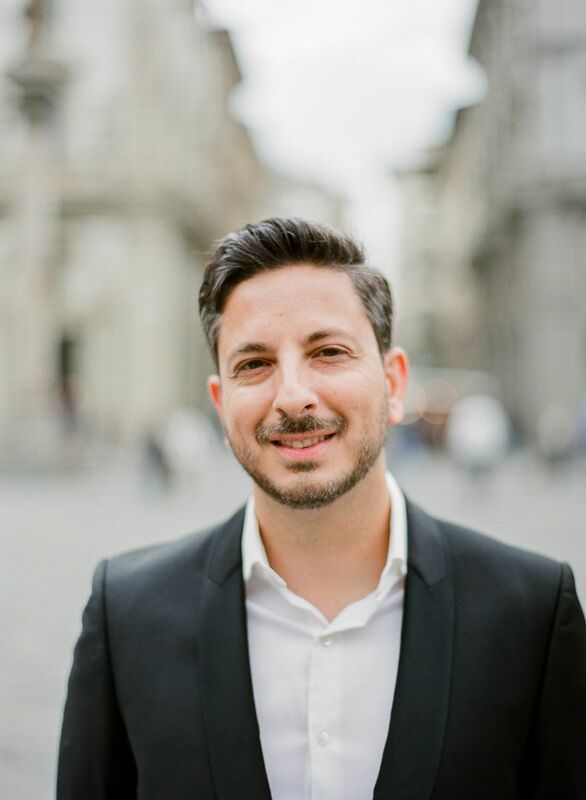 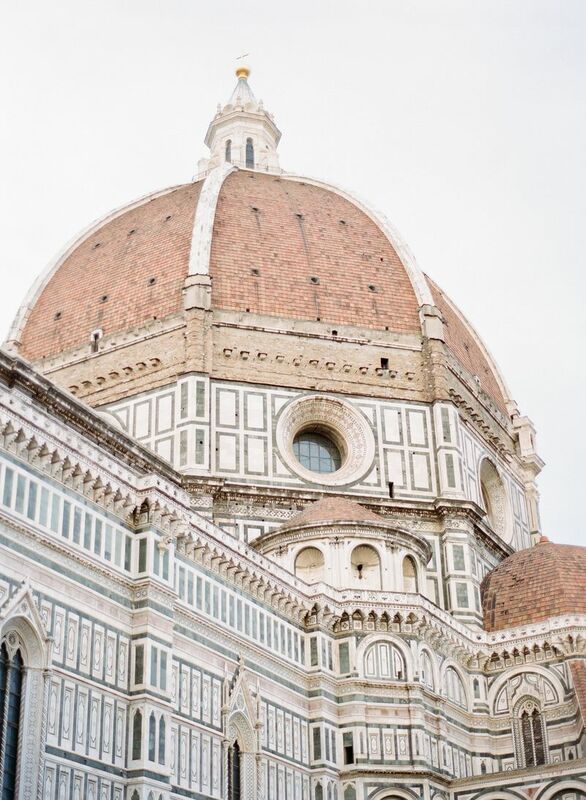 If you plan a honeymoon here you should remember this hotel, because it’s very close to the center as well as to the Ponte Vecchio and Boboli Gardens.